Fairy Tales from Around the World is a treasure trove of the world's best-loved fairy and folk tales. 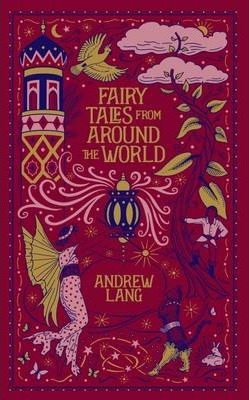 It features more than 100 fairy tales representing more than fifty nations, all selected from The Blue Fairy Book and eleven other collections compiled by Andrew Lang. The book also includes more than 100 illustrations by H.J. Ford that bring their magic and marvels vividly to life. Fairy Tales from Around the World is one of Barnes & Noble's Collectible Editions classics. Each volume features authoritative texts by the world's greatest authors in an exquisitely designed bonded-leather binding, with distinctive gilt edging and a silk-ribbon bookmark. Decorative, durable, and collectible, these books offer hours of pleasure to readers young and old and are an indispensible cornerstone for any home library.